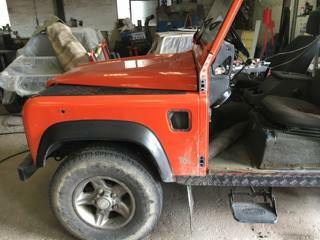 A much looked after orange Defender 110 which sadly was showing signs of a long lived life. 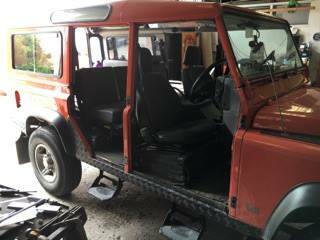 Mechanically sound, it just needed that extra bit of TLC to regain its former glory. 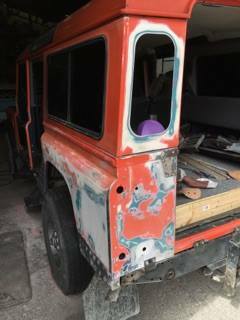 The view of the orange defender after having the doors removed in preparation for the sanding work. 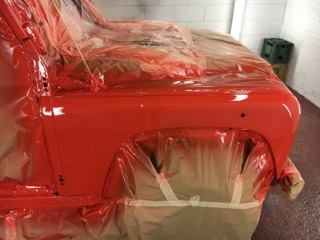 As you can see below, we had to strip back a lot of orange layers to ensure a nice, crisp and even finish to the paintwork. Once an even surface was obtained we went ahead with the paint! 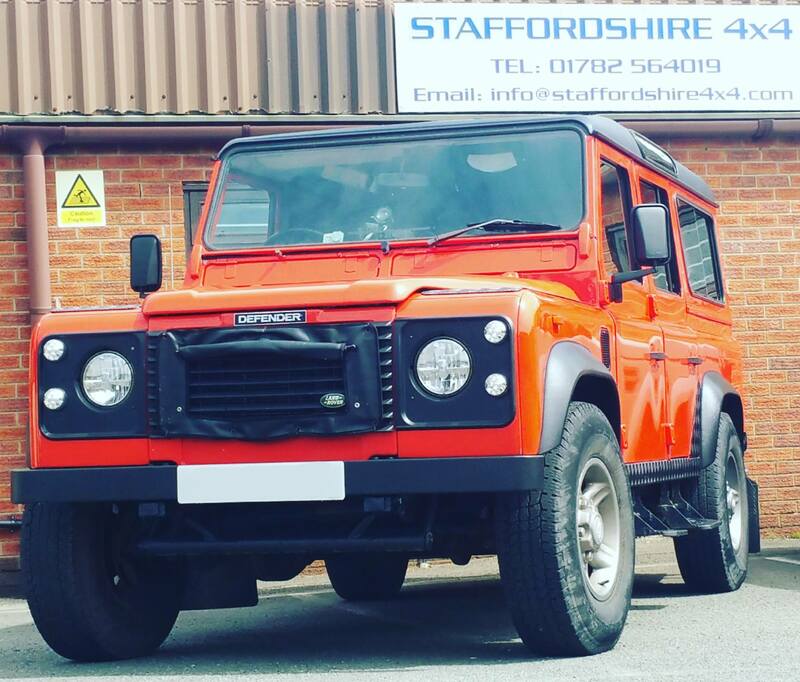 A vibrant orange to match the original swatch on the sides and new doors and also a covering of tough Raptor coating on the roof and wheel arches, giving this much beloved vehicle a brand new lease of life! 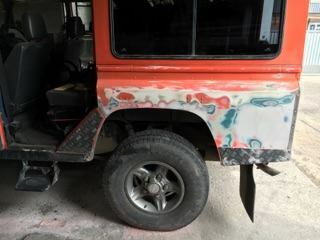 The finished vehicle. We are very proud of what we achieved and the owner was over-joyed. A sturdy utility vehicle, ready for what the lanes have to offer!! 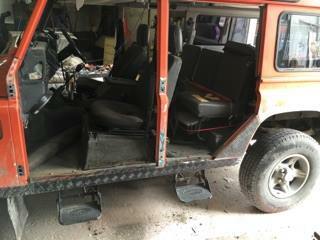 4x Genuine Land Rover doors. 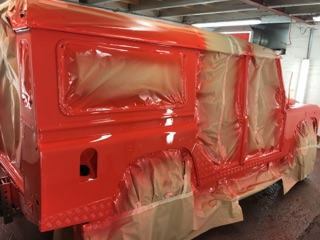 All sides and new doors re-sprayed with original orange swatch. 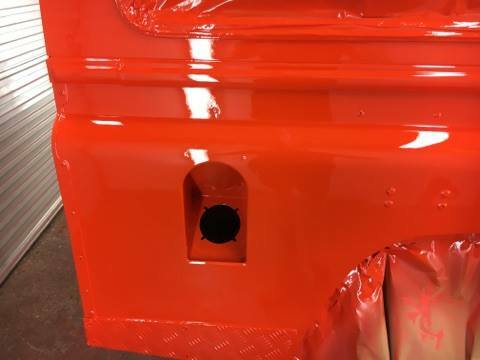 Tough raptor coating on the roof and wheel arches. A joy to work on and a pleasure to see a classic vehicle restored.